Pregnancy weight loss can be tough for a lot of women. Even if you find those first few pounds quite easy to lose after you’ve given birth, there might be some residual weight that’s hard to shed. You aren’t alone! Seeing celebrity moms lose the baby weight and get in shape super fast can be discouraging and stressful if you are struggling. But the truth is that real women do struggle, and most women don’t have access to the trainers and resources that celebs do. Plus, you want to ensure that you’re taking the safest route when it comes to pregnancy weight loss, as your health is the most important thing, especially now that you have a new baby. So, what have some real women done to achieve weight loss after pregnancy? A few of their top pregnancy weight loss tips are listed below to help you get started. 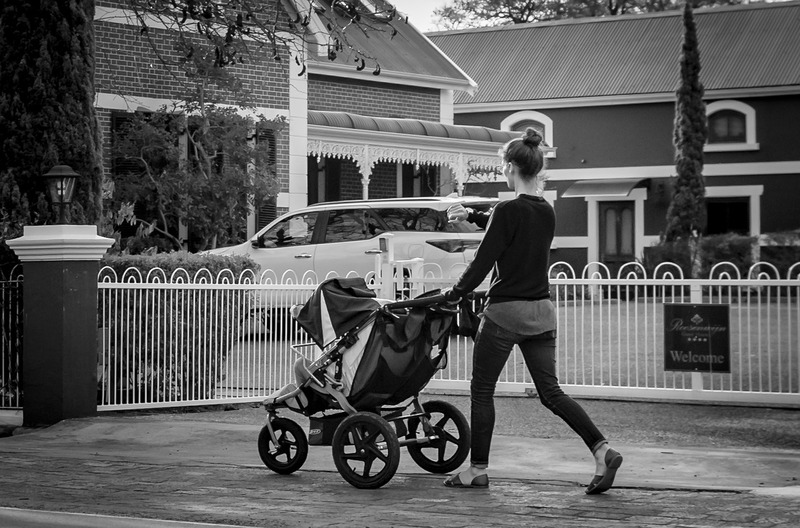 Whenever you have the chance to go for a stroll with your baby, take it. Place your little one in his or her stroller, and then head out for a walk in the park, or even just walk up and down your own block. A short walk is better than no walk at all when it comes to achieving pregnancy weight loss. So, on rainy days, consider going for a walk at the mall, or just walk with your baby in your arms around the house. It’s all about calorie burning! According to Parents, one of the smartest steps you can take to achieve pregnancy weight loss, once you’re all healed and it’s easier to move around more, is putting your baby’s changing station in an area of your home that will require you to take more steps or maybe even go up and down stairs. This increase in your activity level will help you burn through more calories than you would if you placed the changing station in an easier-to-reach area. This is one of the easiest pregnancy weight loss tips that a lot of mothers don’t think of immediately. Here’s yet another example of the many pregnancy weight loss tips that you can immediately implement into your daily life: just as you pack snacks for your baby to have when you head out, you can do the same for yourself. Whether it’s fruit, crackers, nuts, or a peanut butter sandwich, the goal is to take some nutritious, low-calorie snacks with you in case you get hungry while you’re away from home. This will help you avoid the temptation of going to a fast food restaurant when you start to get hungry. Hopefully, these pregnancy weight loss tips will help you achieve your goal of slimming down to your pre-baby weight. But, even if your body has changed for good, don’t worry, as it’s just a celebration of the beautiful new life that you created. Previous post: These Weight Loss Diet Types Could Shrink Your Waistline…and Your Life!